So now I'm thinking to myself, "Self, do you know anyone with a pilots license who might need a part time job sometime in the future?" And my self answered right back, "Why come to think of it, yes! Yes I do know someone who could charge ridiculous fees to fly a drone around someone's backyard or construction site." Now, seriously, I get that there needs to be some sort of regulatory framework for the commercial use of drones. 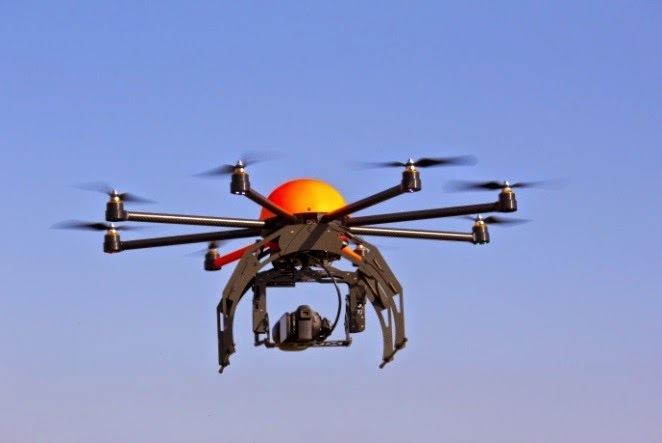 Any collision between a drone and an aircraft will likely result in a catastrophe. So yes, the FAA is right to insert itself into the operation of drones. But also in true circle-the-wagons regulatory fashion, the agency goes completely overboard and throws the baby out with the bathwater. Common sense dictates that there should be different rules for drones based on size and altitude. A collision with a child's two pound toy flying around the yard, while potentially serious, is quite unlikely whereas a collision with a 50 pound pipeline inspection drone would likely bring down any aircraft. But with today's technology, collisions with man made flying objects are becoming ever less likely. For over a decade now, transponder and anti-collision technology has made every other aircraft within 40 miles visible on a display in the cockpit. This technology is affordable and can easily be installed on commercial drones. Even hang gliders are now required to have transponders under certain circumstances. The FAA at least understands its incentives. Famously known as a "tombstone agency" meaning it typically reacts after an accident, any fatal accident will draw instant headlines and mean lots of SES scale bureaucrats in cushy sinecures with fat government pensions will soon be applying for the non-government jobs they previously regulated out of existence. In other words, they'll be fired. That much they get. Applying complex risk assessment tools used to balance the needs of commercial aviation safety with the potential benefits of drones is not really their bag. If a drone manufacturer fails or new time or energy saving applications never come into being well that's too bad. Writing intelligent rules that provide maximum safety with maximum benefit is really hard work. Much easier to play it safe. Were I writing the rules, requiring special equipment and certification when operating near airports seems sensible. Also requiring transponders seems to make sense but the line of sight operations restriction is silly as data links can provide a virtual birds eye view to the pilot as stated in the article. This is the approach that was taken in Canada. In their typical glacial pace, the FAA will now open the proposed rulemaking to comments for several months after which the actual rules might not appear for one or two more years. But hey, after waiting six years already, what's a few more waiting to get your business started going to matter? In the meantime, since the FAA quadrupled the hours required for new pilots to get their first airline job, there should be plenty of pilots hanging around to fly the pipeline inspection and crop dusting aircraft that drones are ready to replace. And by requiring prospective drone pilots to have real airplane licenses, I know of a slightly overweight and greying airline pilot who will have a great retirement job waiting for him. Totally agree James! Thanks for posting.